A federal judge in Florida ruled that “victims of Colombian paramilitary death squads funded by Chiquita” have a right to have their case heard in the United States rather than Colombia, “clearing the way for the historic case to advance toward trial.” The ruling comes nearly a decade after Chiquita pled guilty in 2007 to charges of “engaging in unauthorized transactions” with the United Self-Defense Forces of Colombia (AUC), which was designated a global terrorist organization by the US State Department in 2001. Earlier this year, Evans filed an affidavit in the class action lawsuit in which he used Chiquita corporate records obtained through the National Security Archive’s FOIA litigation to identify a dozen individuals connected to the paramilitary payments scheme and who are now potential witnesses for the plaintiffs. In July 2015 a federal appeals court in Washington, D.C., ruled that the US Securities and Exchange Commission (SEC) should release to the National Security Archive some 9,257 pages of records produced by Chiquita Brands International to the SEC as part of an investigation of the company’s illegal payments to the AUC. 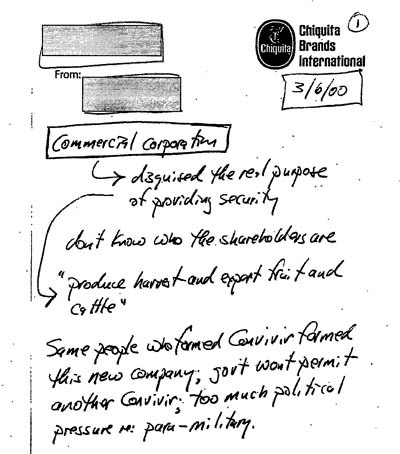 The Archive’s FOIA case began in November 2008, when our office filed a pair of FOIA requests with the SEC asking for records relating to SEC and Justice Department investigations of Chiquita’s Colombian subsidiary, Banadex, for violations including the illegal AUC payments. In April 2011, the Archive published some 5,500 pages of Chiquita’s records released by the Department of Justice in response to similar FOIA requests. Those records revealed that Chiquita benefited from its transactions with both AUC “paramilitary” groups and insurgents from the FARC and ELN guerrilla groups. The records call into question the Justice Department’s determination, spelled out in the 2007 plea deal, that there was no evidence of a quid pro quo with the illegal groups. The Bureau of Prisons (BOP) recently admitted for the first time that two BOP officials visited a CIA “black site” prison in Afghanistan in 2002. The agency submitted legal filings confirming the visit during the course of an ACLU FOIA lawsuit – seven months after the bureau told the ACLU that it had no records in response to the ACLU’s FOIA request for information on the visit, which was revealed in a Senate report. Afghan detainee Gul Rahman died at the prison in November 2002 after being “short shackled” overnight, and “likely” freezing to death – a technique the CIA implemented after flying the BOP officials to Afghanistan. 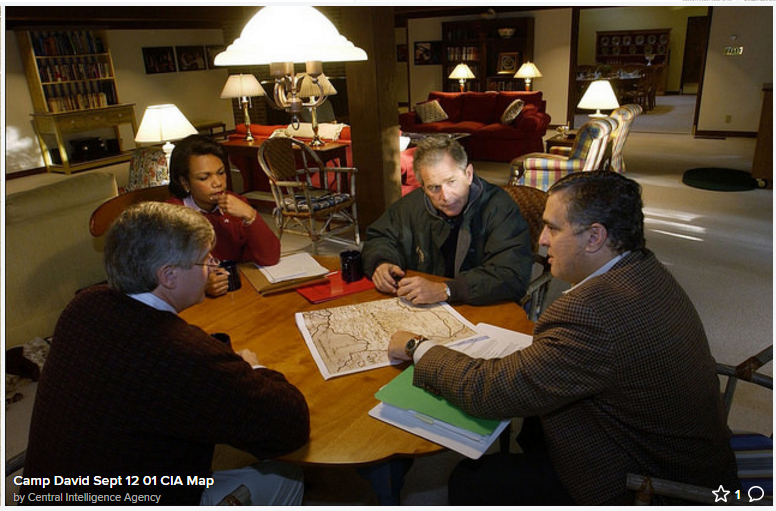 Camp David September 12, 2001. 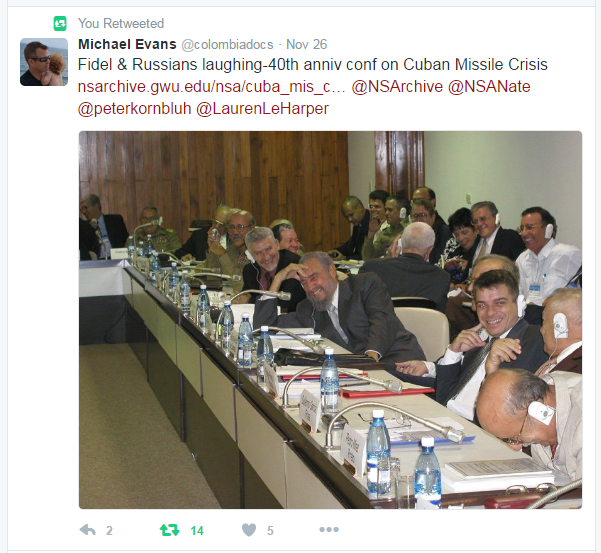 The National Security Archive also hosted a conference in Havana for the 40th anniversary of the Cuban Missile Crisis, bringing together the senior surviving veterans of the event, including Castro and Defense Secretary Robert McNamara, and featured four panels: (1) from the Bay of Pigs to the missiles, (2) the missiles and the October crisis, (3) the November crisis and aftermath, (4) lessons from the crisis. More information on the conference can be found here and here. The Public Interest Declassification Board will be holding a public meeting Thursday, December 8. The presentations and public comments will address how best to reduce over-classification, improve declassification, and ensure “a credible and transparent security classification system.” The meeting is open to the public, but space is limited. If you’re interested in attending, please RSVP here. Archivist of the United States David S. Ferriero recently appointed Mark Bradley and Alina Simo to head the Information Security Oversight Office and the Office of Government Information Services, respectively. 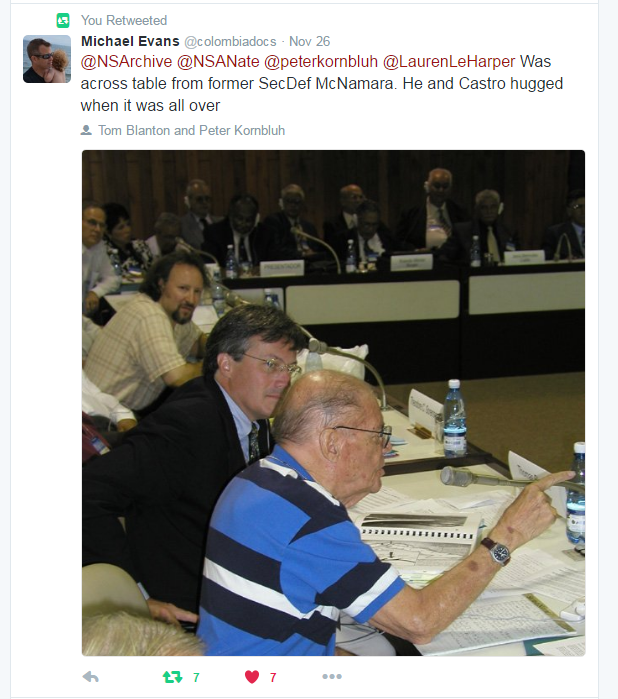 Steve Aftergood notes of Mr. Bradley, he “is not ‘just’ a former intelligence officer and national security lawyer. He is also an historian who has done archival research and worked with declassified records to produce a well-regarded volume called A Very Principled Boy: The Life of Duncan Lee, Red Spy and Cold Warrior (Basic Books, 2014). So he will bring multiple relevant dimensions of expertise to his new responsibilities at ISOO.” Ms. Simo, for her part, comes to OGIS from the National Archives’ Office of General Counsel. While at NARA she “helped rewrite the National Archives’ FOIA regulations.” Prior to her tenure at NARA Simo “served as Director of Litigation in the Office of General Counsel” for the FBI. Thirty years ago, President Ronald Reagan announced to the nation – after weeks of denials – that members of his White House staff had engaged in a web of covert intrigue linking illicit US support for a guerrilla war in Central America with a legally and politically explosive arms-for-hostages bargain with the Islamic Republic of Iran. The revelation quickly led to a new phrase – “Iran-Contra” – which became synonymous with political hubris, government incompetence, and dishonesty in the public sphere. 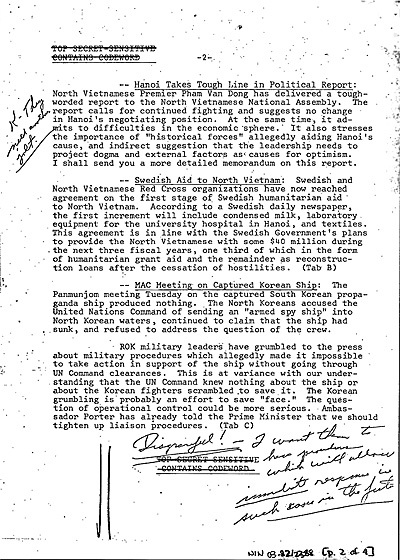 This week the National Security Archive posts a selection of materials that spotlight the scandal’s deceitfulness and whose relevance has sadly become more pronounced after a bruising political season marked by examples and allegations of widespread public contempt for facts, evidence and the truth.